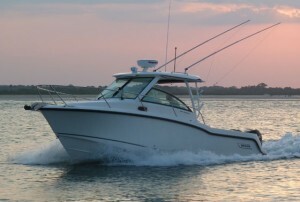 If you like boats that provide gobs of space for the LOA, the Sealine C48 is a new model that belongs on your short list. 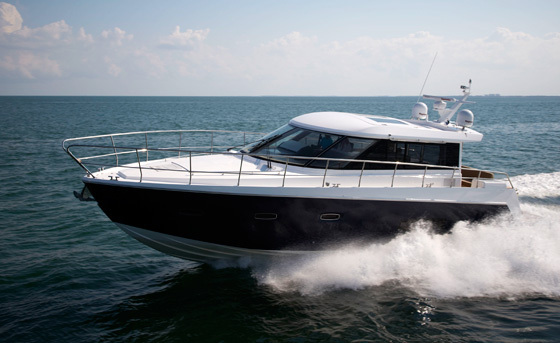 When I took a stroll through the new Sealine C48 express cruiser, I immediately saw that this boat succeeds at a mission that many of its size and type fail: every inch of the interior feels spacious, provides natural light, and enjoys fresh breezes. 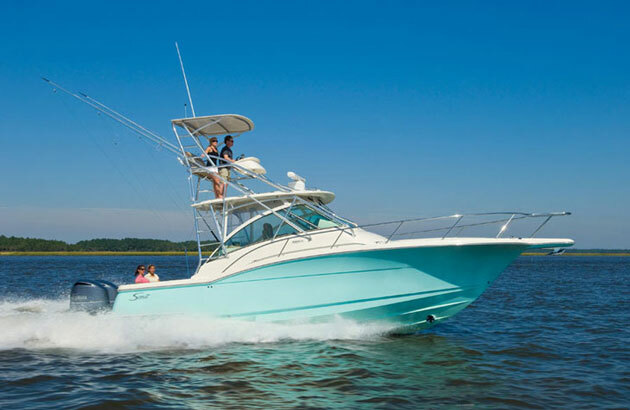 Instead of cutting up the interior into shoe-horned cabins and jam-packed spaces, the C48 sticks with fewer but larger living areas, much like its smaller sibling, the SC42i. 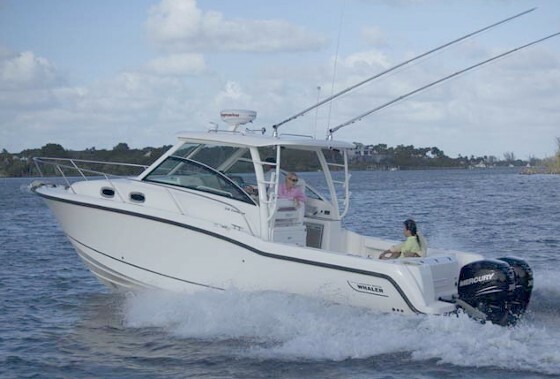 But focusing on the interior of this boat would be a mistake—those of us who go boating to spend time in the outdoors will discover that in this regard, the C48 isn’t just a success, it’s a grand-slam home run. 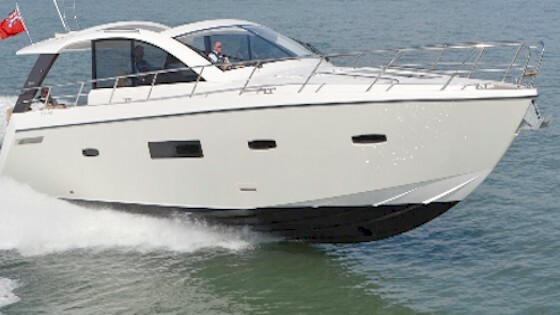 Like the slightly smaller SC42i, the C48 is an all-new model, with an all-new attitude. Sure, the cockpit has a built-in grill, reefer, and wet bar. You expect that from a yacht of this nature in this day and age. And of course it has a retractable sun-shade, another perk that was once rare but is standard fare today. But step into the cabin, press a button, and the overhead slides back to turn the entire salon into an extension of the cockpit. You don’t need to walk outside to get into the outdoors—you can bring it inside with you, while you enjoy lunch at the dinette or kick back on the settee. And unlike some retractable tops, this is no mere sunroof. 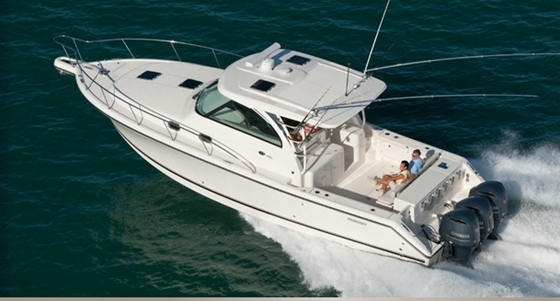 It’s a huge section of the overhead, which you can watch disappear for yourself on our Sealine 48 Powerboat: Moving Parts Like a Transformer video. 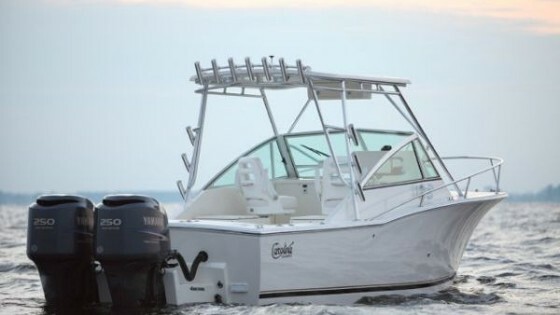 With the huge glass and stainless-steel sliding saloon doors wide open and the top retracted, we fired up the twin Volvo Penta IPS 600 pod drives, cruised through the inlet, and put the C48 through its paces in the open Atlantic. 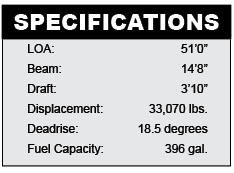 The boat’s no speed demon with a cruise in the mid 20s and a top-end of about 30 knots, but those pods provide excellent handling and maneuverability. Where this really comes in handy, of course, is at the dock. Our slip was far more constrained than the boat’s interior, but tapping the joystick sideways allowed me to line the boat up perfectly before backing in. Take a peek at the propulsion system first-hand, and you’ll also discover that engineroom access via the huge hatch is awesome. While you’re down there, take note of the standard oil-exchange system, and the centered fuel tank, which won’t affect trim as it’s drained. Gobs of sunlight and copious fresh breezes are the rule, on the C48. The engineroom may be the only part of this boat that’s devoid of natural light; the lower cabin is nearly as light and airy as the salon. 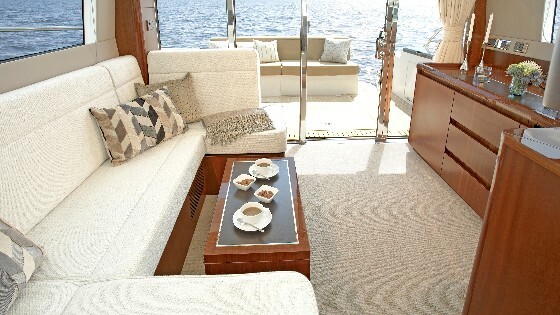 When I walked down the stairs to the galley to take a peek I found the handhold awkward, but Sealine agreed it wasn’t perfect, and said they were working on a possible redesign. 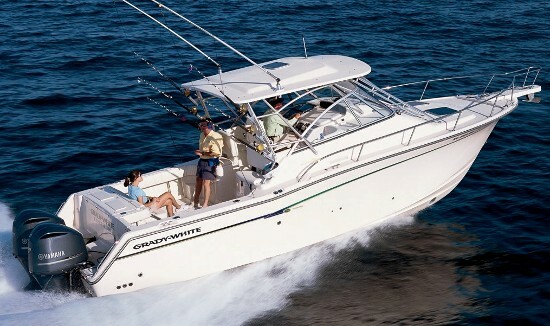 There are no worries about bumping your head, though, because the overhead is wide-open to the helm. That’s a key features that brings natural lighting below, along with the copious use of opening ports and overhead hatches in the cabins. The master is aft and is a full-beam stateroom, while the guest stateroom forward has a queen berth and its own head. All of these areas maintain the boat’s wide-open feel. Even so, after being down there for a while you’ll probably have the urge to get back out into the great outdoors, and enjoy streaming sunlight and fresh breezes. That’s when it’ll be time to get back outside—and all you’ll have to do is head upstairs, sit down in the saloon, and press a button.